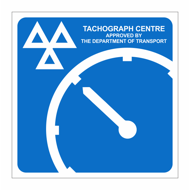 At Bowmans Test Centre, we’re approved by the Government appointed Driver and Vehicle Standards Agency (DVSA, formerly VOSA) to undertake tachograph installations, repair & calibrations. Call us on 01397 722218 to book you vehicle in. Approved to work on digital & analouge tachographs. Our technicians are tested and approved by DVSA.